Ubud is the nature retreat we have been looking for. Coming from Bangkok, we needed to get away from the city noise and the pollution. We heard it was beautiful there and everyone that has been has said how much they loved it and now I see why. We stayed outside the city center, really it felt like in the middle of nowhere, it was perfect and very inexpensive at the Pajar House. If you are looking for a nice, clean, away from noise, and inexpensive hotel I highly recommend this place. 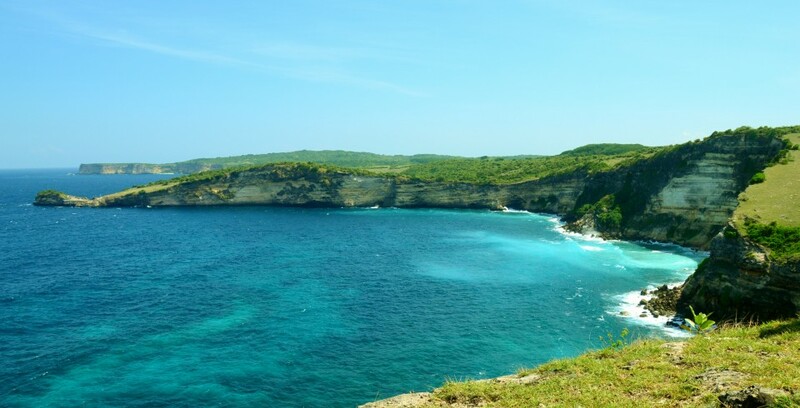 The hotel will even help you to book excursions through their own service or you can book ahead of time with other companies in the area like we did. 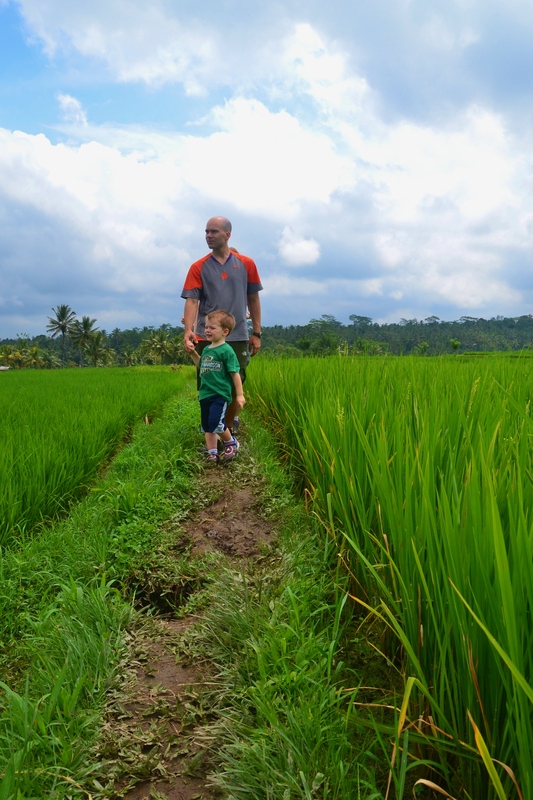 There are so many fun things to do in Ubud. Just to be out in nature, away from the city to where you only hear bugs, geckos, and the rain falling down was a much needed break for all of us. We had been dragging the toddler around for days on different outdoor adventures and he was faring pretty well but we wanted to do something special just for him. 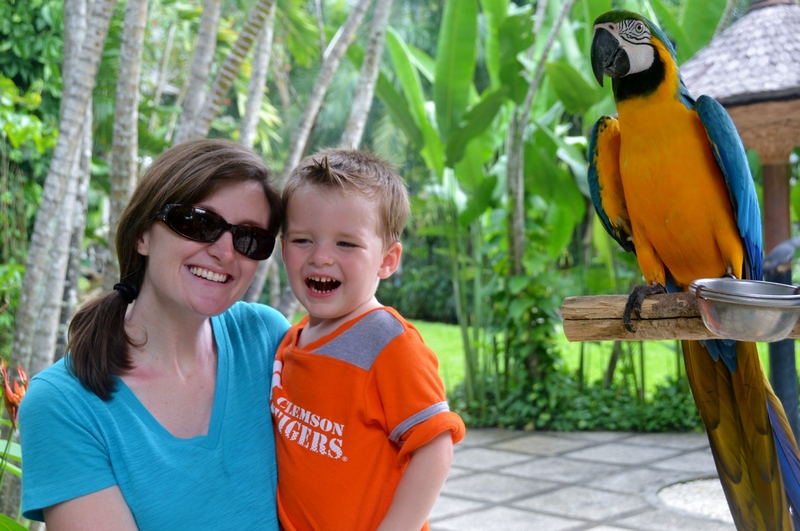 Our hotel recommended we take a drive to the Bali Bird Park. For around $80USD, we were given three tickets that gave us access to the bird park as well as the reptile park.